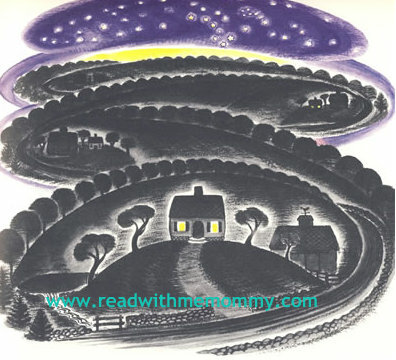 The Little House was written and illustrated by Virginia Lee Burton in 1942. An English original, this is the chinese translated version. An award-winning book of the Caldecott Medal Prize in 1943. Lee wished to convey the passage of time to younger readers. The pages are well-illustrated. 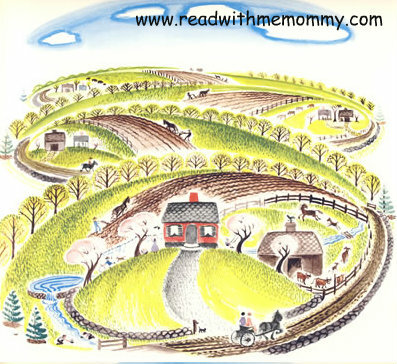 The story centers on a house built at the top of a small hill, far out in the country. Her builder decrees that she "may never be sold for gold or silver" but is built sturdy enough to one day see his great-great-grandchildren's great-great-grandchildren living in her. The house watches the seasons pass, and wonders about the lights of the city, which grow ever closer. Eventually a road is built in front of the house. This is followed by roadside stands, gas stations, and more little houses. Next, the small houses are replaced by tenements and apartments. Streetcars, an elevated railroad, and a subway appear to surround the house. 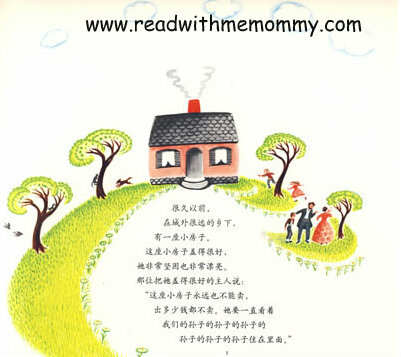 Finally, two gigantic skyscrapers are built—one on each side; now living in the city, the house is sad because she misses being on the small hill in the countryside and that her exterior looks shabby due to no one living in her and the city's environment. One day the great-great-granddaughter of the builder sees the house and remembers stories that her grandmother told about living in just such a house, albeit far out in the country. 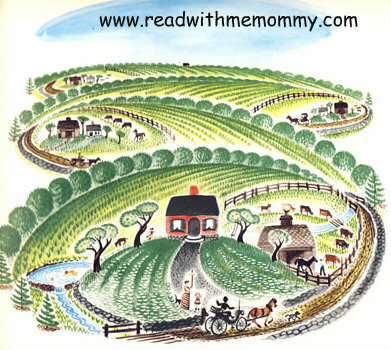 When the great-great-granddaughter discovers that it is the same house, she arranges to have her moved out of the city, to a hill in the country where she can once again watch the seasons pass and live happily ever after. This is a hard cover book, with simplified chinese. No hanyu pinyin. For reading to the child, this book may suit kids of 5 years up. However, for self-read, we would recommend it for children of 8 years old. 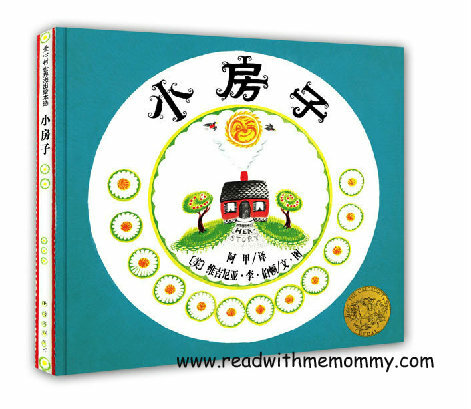 If you are looking for books to teach your child about the "passage of time", you may also like to consider "When The Wind Stop" [风到哪里去了] which is available in our store.